Pala International’s Bill Larson had a great surprise in store for him when he visited Idar-Oberstein in June 2005, on the way to the Sainte-Marie-aux-Mines gem and mineral show in the Alsace region of France, in the historic silver-mining town. On Saturday morning he visited the venerable firm of FA Becker with his son Will and met Gerhardt and his son Andreas. 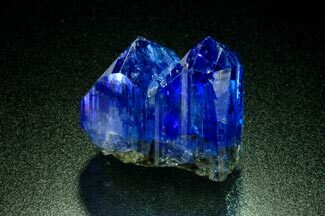 “After a tour of what was newly produced by their firm, Gerhardt announced that since I had asked if he had any fine minerals available he had decided to offer me a few tanzanites from his personal collection. 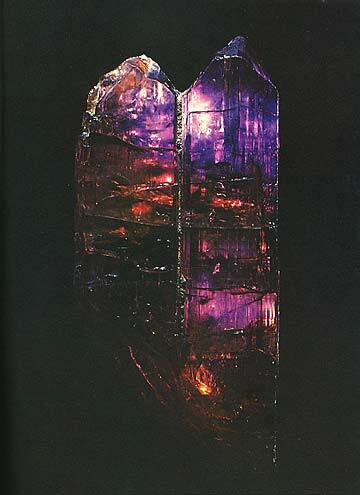 I knew these were some of the very first tanzanites preserved in crystal form. “Gerhardt reminded us that these pieces were mined in 1969 in the very first year of mining production before the material was named tanzanite. When he purchased them in Meralani, Tanzania, he was the first to bring the material back to Idar-Oberstein and found them to be blue zoisite. As a normal procedure he tried heat treatmernt and was amazed at the results. He was quick to purchase as much rough as he could, recognizing that the blue zoisite would become a new major gemstone. He kept this piece natural (unheated) as it was so large and had a fine termination whereas most of what he bought were broken fragemnts. Indeed this crystal is featured in two separate 1970s publications. Luckily we have copies of these publications in Pala International’s library. Upon returning to California, we looked up the photos of our new aquisition. Please enjoy them here. 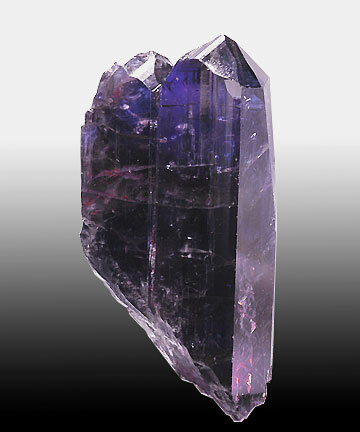 This natural-color tanzanite crystal—together with the publications—is available. Contact Pala International. 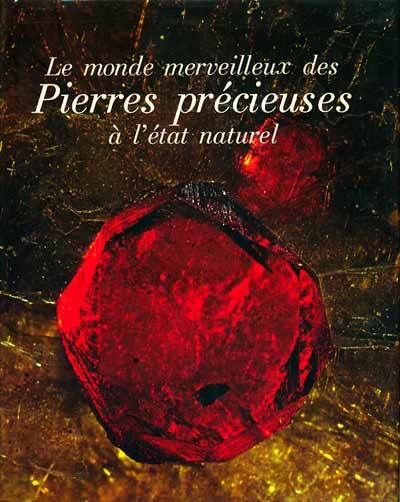 The marvelous world of precious Gems in the natural state, by Pierre Bariand, published in 1979 with great color photographs by Nelly Bariand. Featured are many fantastic gem specimens including this tanzanite. The same specimen, featured on page 81 of the above publication, in a full-page color photograph. Description: 6 cm Tanzanite. 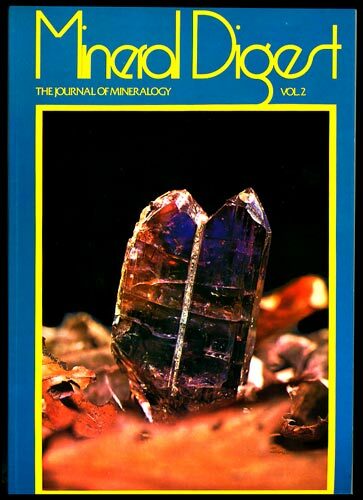 Mineral Digest Journal of Mineralogy, Vol. 2, published by Julio Tanjeloff, features the tanzanite gracing its cover. An article inside by Louis Zara proclaims a need for more creativity in naming gems and minerals. His article was entitled “Tanjeloffite and Blue Zoisite” and discusses how the blue zoisite gems are being sold under competing names: blue zoisite, tanjeloffite, and tanzanite. Of course historically we now know Tiffany’s was successful in getting public recognition of their name: tanzanite. Nonetheless the article is quite interesting, with all the names invented in today’s gem business. Another Summer 2005 purchase by Pala International, this natural-color tanzanite is 3.5 x 3 x 2 cm and over 200 carats. When photographing it, Jeffrey Scovil commented on its superior quality. Soon after listing, it was sold to a lucky and savvy buyer.